Create your own traditional poi ball using wool with this fun Maori themed craft project. Take the white wool and use a pom pom maker to create a medium sized pom pom. 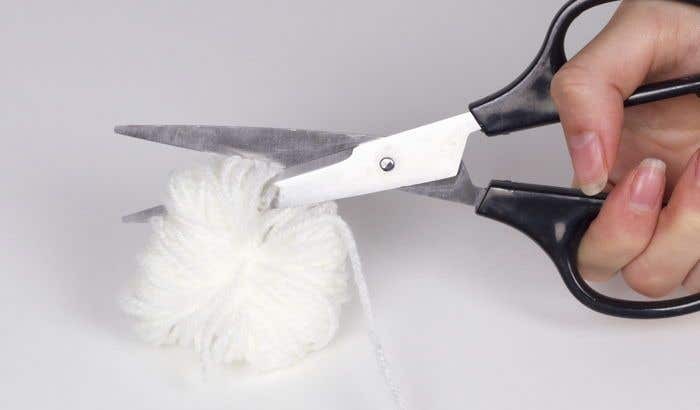 If you don't have a pom pom maker, just wrap the wool multiple times around your four fingers, then tie a piece of wool tightly around the middle, then trim the ends. Keep the end of the piece of wool, that you tied around the middle of the pom pom, quite long. Trim the ends of the pom pom to make it neater and it will appear fuller. Make sure you don't trim the long piece of wool. Cut a piece of red wool approximately 30cm long. Then cut a piece of black wool the same length. 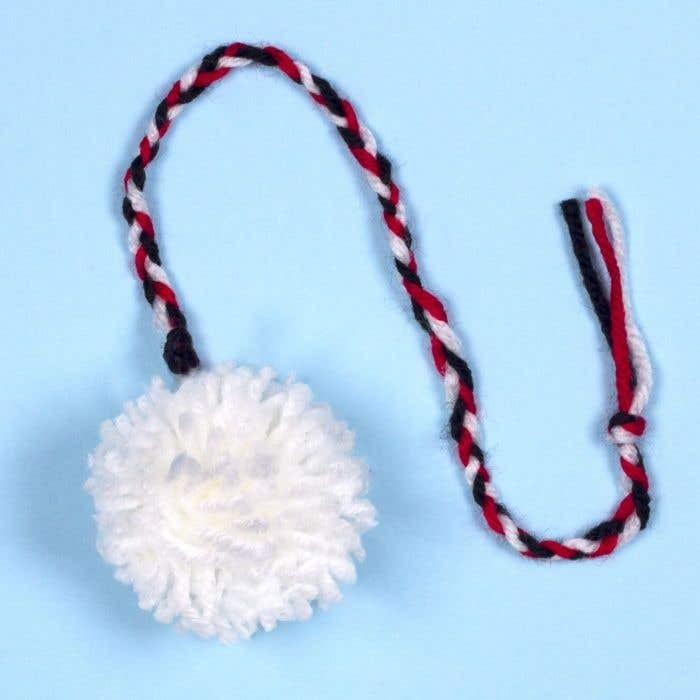 Tie the red and black pieces of wool to the long piece of white wool attached to the pom pom. 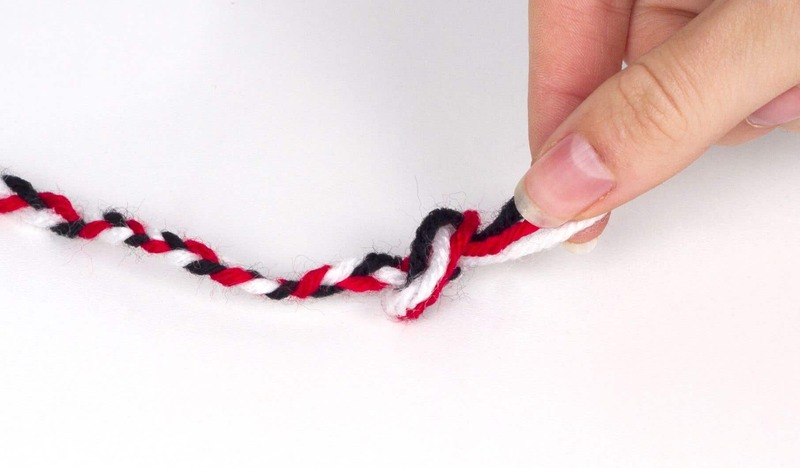 Plait the red, white and black pieces of wool together. 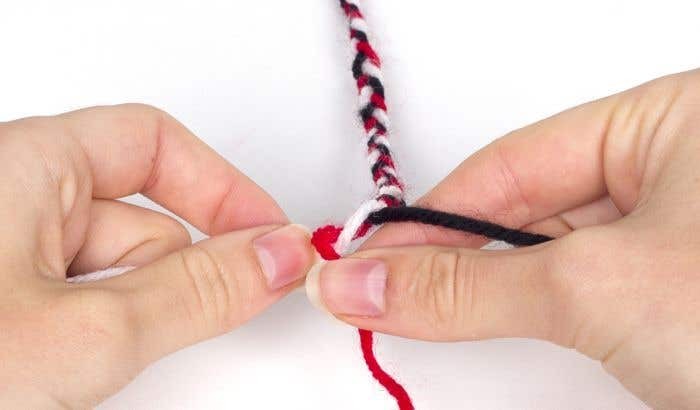 Then tie in a knot at the end. The more wool you use to make the pom pom, the thicker it will be.